I’m sure most of you have eaten an oven baked, flat, disk shaped bread topped with tomato sauce, cheese and various toppings sometime in the past month? If you’ve eaten a pizza, then yes you have! Here in Rome there may be as many pizzerias as there are churches...or maybe even more! At any time of day you can enter one of these pizzerias and get a pizza to go. These are what is known locally as the pizza al taglio, rectangular shaped pizzas, with a wide variety of toppings and sold by weight. When you enter one of these places, you see a counter with different types of pizzas. You point at what you want; the person behind the counter will get his sharp pizza cutter, place it at a certain point on the pizza and will look at you. If you shake your head, he’ll move it further down, when you nod your head, he will proceed to cut that portion for you. He weighs this on his weighing scale right there on the counter and then cuts it in half and puts it together with the filled side facing each other (sandwich style) and wraps it up. Eating pizza this way as one walks around or sits at a curb side is a common sight. This brings the pizza back to its origins as a “street food”. Scoglio di Frisio, a restaurant on Via Merulana which first opened its doors in 1928 and still owned and ran by the same family offers pizza making courses. Family members on holiday in Rome and I decided that learning to make pizza here in the Land of The Pizza would be a fun family thing to do, so we attended the restaurant’s one day course. The present owner of the restaurant himself welcomed us and gave us a mini lecture on the origins and the principles of making pizza. As he spoke, it became obvious to us that here was a man who was not only passionate about what he did but also loved and enjoyed it! As our host explained it there are three major ingredients in pizza, the first is the tomato. Flat breads, like naan, pita, focaccia and many others have been part of traditional diets all over the world. In Italy the focaccia became the pizza when tomatoes were added as a topping. 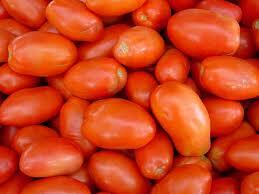 Tomatoes came from the Americas in the 16th century. The pomodoro or “golden bowl” was for the better part of 200 years, considered a decorative plant. Sometime in the 1830s, a poor woman in Naples decided to add the pomodoro to her bread and created the pizza. These “pizzas” were sold from open air stands and were considered “poor man’s food”. The second major ingredient is olive oil. This “golden liquid” was used from prehistoric times in and around the Mediterranean basin as seen from the discovery of amphorae, the earliest of which was dated 3,500BC, used to contain this has been found. Olive oil came to southern Italy around the 8th century BC. 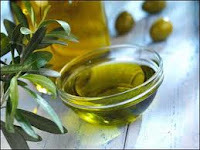 Before olive oil, animal fat was the oil used for cooking, but with the advent of olive oil, vegetable fat came into favour and the Italians acquired the Mediterranean “mentality” in terms of their food preparation. The third very important ingredient in any pizza is salt. 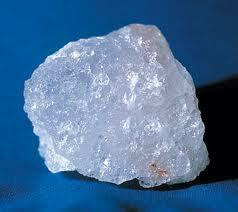 Salt was a valued item as it was essential in preserving food and thus eliminating dependence on seasonal availability. Some have called salt the foundation of civilization. It was very difficult to obtain and was therefore a very valued trade item. In Italy, legend has the Via Salaria an ancient road being built by men who were paid in salt (thus the origins of the word salary) for their work. Historical accounts however, say that this road was so called because the Sabines, the original “salt merchants” used this route to fetch salt from the marches around the Tiber. No matter which account you prefer, Via Salaria was apparently already in existence in the Bronze Age. The modern pizza made its appearance as the Pizza Napoletana, which was simply the pizza pie with tomato to which cheese was added in 1889. According to our host, King Ferdinand used to visit the poor neighbourhoods in Naples in disguise just to eat this. When Queen Margherita of Savoy visited Naples in 1889, a Neapolitan chef, Raffaele Esposito created a pizza with tomatoes, mozzarella cheese and basil to represent the colors of the Italian flag, in her honor. This pizza came to be known as Pizza Margherita. After all these interesting facts, it was down to business for us. So we donned our aprons and chef’s hats and proceeded to the workstation of the pizzaiolo (the pizza chef). The first thing he explained to us was that the flour he used was flour for pizza which he said could be wheat flour which is at least 3 months old so that it has no residual moisture left. He then measured flour, water, oil and salt and proceeded to incorporate them. When the dough “feels right” you then cover with a damp cloth and make it rise. Asked as to how long we should make it rise, he again replied “no time, you need to feel”. Basically it is done when you push a finger into the dough and it makes an indentation and doesn’t spring back. After this, you need to transform the ball of dough into a flat circular shaped pie and again this is done with your hands. We all had a hand at this, and even if ours didn’t come out as circular as his did, they still looked pretty, to us at least. Then tomato sauce is spread on top. The tomato sauce is simply canned tomatoes, remove the seeds, squash all of them and add some olive oil and some salt. Then the toppings are added, whatever you want and then last, the mozzarella cheese. Drizzle a little bit of olive oil on the top and put it into the wood fired oven which has a temperature of 485 degrees centigrade for no more than 60 to 90 seconds. For our home ovens we would need to first put the tomato sauce on the pie, put that in the oven (at its highest setting) for 10 minutes, remove from the oven, add the toppings and the cheese and olive oil and return to the oven for another 5 minutes. The demo pizza made by our pizzaiolo was a Napoletana pizza, with a soft pliable thin crust. He told us that in Rome they preferred a thin crusty crust, using only 80 grams of dough as compared to 250 grams. So, where our pizza’s true Napoletana pizzas? They were hand kneaded and hand rolled, they were baked for no more than 90 seconds in the restaurant pizza oven and were more or less round, so conforming to the basic requirements. However, free to add whatever toppings we wanted...we strayed from the 2 true Napoletana pizzas, adding artichokes, prosciutto, mushrooms...you get the idea. Then the final test which we were told was the most important, “rely not on the eyes but on the nose”. Smelling our pizzas after they came out of the oven.... hmmm.....yes.... they passed the test for sure! Because of the nature of my husband's work, we have had to make a couple of major moves which meant transfering our entire household from one country to another. Moving meant packing, and any of you who have had to move knows how tedious that can be. In my case, there was one thing that would invariably delay the packing. Coming across photographs, boxes and boxes of photographs, would result in a whole afternoon of packing set aside! I like taking pictures, I like looking at pictures even more. Every time, I came across those boxes, I could not resist looking through them. The boxes have grown exponentially, so the time it takes to “look through” them has also taken much longer. I don’t go through these photographs by myself; it’s become a shared “family experience”. Seeing these photographs makes us relive portions of our lives and seeing pictures of people we know or used to know reacquaints us with them. The ancient Romans were not so very different, they also “took” photographs. The first attempts at “photographing” were wax masks taken of deceased persons. The ancient Romans kept these masks, usually of their ancestors in special niches in the walls of their homes. After this, materials like terracotta, bronze and then finally marble were used to produce these portraits or busts. I have been taking pictures of a lot of these busts and have enjoyed putting a face to the name, names familiar to us through our history lessons. For this blog post I am going to do a who’s who, a gallery of the portraits of the more important people from the Roman Republic until the Age of the Antonines. A bit of history is unavoidable, so I hope you bear with me. Romulus ushered in the era of the Kings, seven of them in all. The republic followed the ouster of the last king. 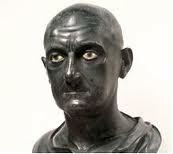 There was a period of expansion followed by a series of Punic wars until Hannibal was defeated by Publius Cornelius Scipio Africanus, so called, not because he was from Africa (bust was carved on black marble), but because he defeated Hannibal in Africa. After this, the Roman Republic would face a crisis, culminating in the civil war between Marius, a “new man”, and Lucius Cornelius Sulla, an aristocrat. 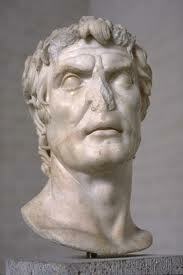 Sulla prevailed and became dictator. Can you tell who’s who? After Sulla’s death, the First Triumvirate came into being, composed of Crassus, Pompey and Julius Caesar. 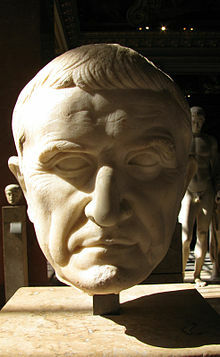 Crassus was known as the richest man in Rome and as the man who put down the revolt of slaves led by Spartacus. He backed Caesar but was killed in Syria. 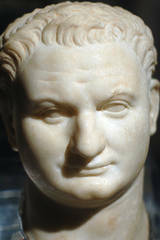 Pompey or Gnaeus Pompeius Magnus led successful military campaigns and was granted the cognomen, “the great” by Sulla. He married Julia, the daughter of Julius Caesar to seal the alliance between them. But when Crassus died, he sided with the senators against Julius Caesar and a civil war ensued. Caesar defeated him at the battle of Pharsalus. 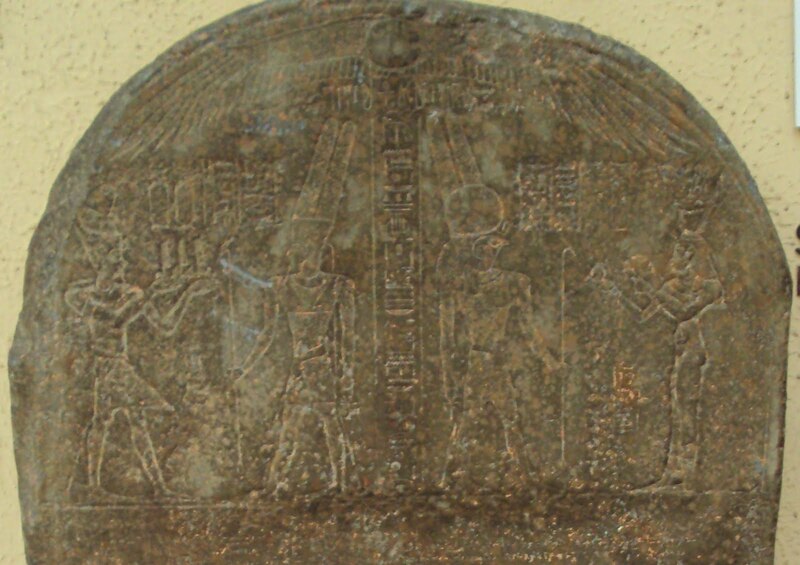 Pompey sought refuge in Egypt where he was instead assassinated. Julius Caesar conquered Gaul, crossed the Rubicon in defiance of the Roman Senate and became dictator for life. But as we all know, he was assassinated by a group of conspirators led by Brutus and Crassus on the Ides of March. But before this he and Cleopatra had a son, Caesarion. The Egyptians also had their own way of "photographing". Julius Caesar adopted Octavian, his nephew and made him his heir. Octavian defeated Mark Anthony and Cleopatra at the Battle of Actium, and so began the Imperial Age. He was given the name Augustus and reined for over 40 years. 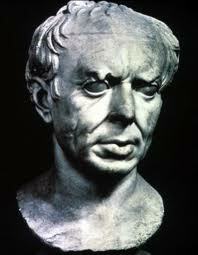 He was married to Livia, but they had no children. The death of Augustus ushered in the Julio-Claudian dynasty, which was marked by a series of palace conspiracies, intrigues, poisonings and assassinations. 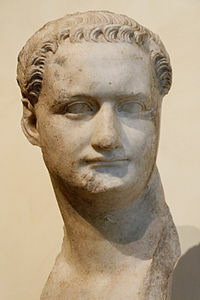 Tiberius, the son of Livia with her first husband became emperor after the death of Augustus. His reign started well enough but towards the end, he spent more time in his palace in Capri reputedly indulging the more prurient aspects of his sexual appetites. 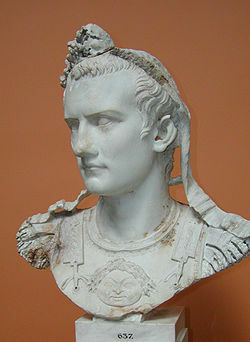 Caligula, Gaius Julius Caesar Augustus Germanicus was a nephew of Tiberius. As a child Caligula was affectionately called “Little Boots” by the troops of his father, Germanicus. Designated Tiberius’ heir, he stayed with Tiberius in Capri from a young age. His reign was remembered for its extravagance and Caligula for his cruelty and sexual perversities. He was assassinated by his own praetorian guards who proclaimed his uncle, Claudius, emperor. Claudius was the brother of Germanicus and was afflicted with a limp and slight deafness and as such he was never expected to succeed to the throne. This defect may have also kept him safe from the intrigues that were rife in the family of Augustus. He adopted Nero, the son of Agrippina the younger sister of Caligula. Nero succeeded Claudius. He built the Domus Aurea on the site of the Palatine that had been destroyed by the Great Fire. There are many stories relating to Nero the more notorious was he had had his mother killed and that he had a hand in starting the Great Fire, because he wanted to rebuild Rome in his image. And legend has him playing the fiddle as Rome burnt. After Nero’s death there was a period of instability where four emperors followed one after the other until Vespasian, with the support of his legions in Judea became emperor, beginning the Flavian Dynasty. He started the construction of the Coliseum. Titus, Vespasian’s son succeeded him and completed the building of the Coliseum. He was an able administrator but he had a short reign, dying suddenly after only two years. The senators named Nerva, another senator to replace Domitian. 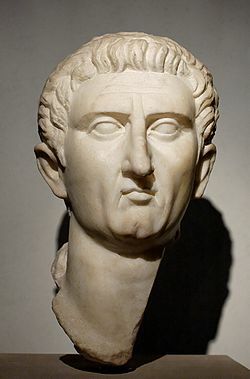 Nerva began the principle of adoptive succession to the post of emperor, where the successor was chosen from outside one’s family and based on political and military talents. He was the first of the five "good emperors". Nerva appointed Trajan, a Spaniard to be his successor. 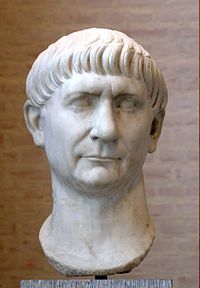 Trajan was given the title of optimus princeps, most excellent prince and his reign came to be known in history as a golden age. Trajan’s military victory over the Dacians is immortalized in Trajan’s column which is still visible today. He was married to Plotina. 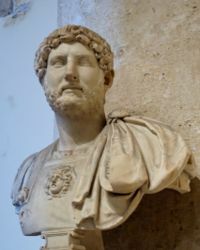 Hadrian, another Spaniard succeeded Trajan. He did not seek to expand the empire, satisfied to consolidate the empire’s existing territories. He has left us, among other monuments, his mausoleum, the Castel Sant’Angelo, to marvel at today. 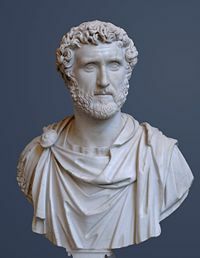 Antoninus Pius succeeded Hadrian, who adopted Marcus Aurelius and Lucius Verus and designated both to succeed him. Like Hadrian he pursued a policy of peace. Marcus Aurelius succeeded Antoninus and shared power with his brother Lucius Verus, until the latter's death. 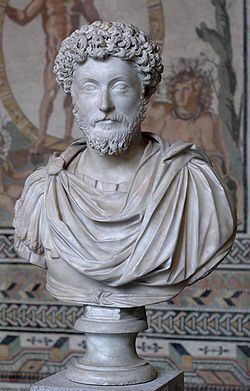 At this time, the empire was rocked by revolts from some of the vassal states and Marcus Aurelius proved this military prowess by putting down these revolts. Today, he is remembered as one of the more important Stoic philosophers (Meditations of Marcus Aurelius). He was the last of the five "good emperors". He abandoned the principle of adoptive succession and returned to dynastic succession. These portraits, and many more like them, give history a face. Seeing them “in the flesh” so to speak brings home the fact that these bigger than life people really lived. Legends may have grown around them but in the end they were men and women, products of their time, and just like us coping with life’s challenges and rewards in their own inimitable ways. And by the way, bringing my boxes of photographs around is nothing compared to what the Romans had to do to bring their photographs around! As for me, no more boxes .... technology to the rescue....this is how I bring my photographs around these days.